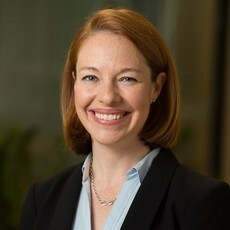 Dr. Watson is a Senior Associate at the Johns Hopkins Center for Health Security and Assistant Professor in the Department of Environmental Health and Engineering. Her policy research focuses on public health risk assessment, crisis and risk-based decision making during contamination emergencies, public health and medical preparedness and response, biodefense, and emerging infectious diseases. She also conducts research on the funding and management of biodefense and health security in the US federal government. Since joining the Center in 2004, Dr. Watson has led a variety of projects and authored a number of peer-reviewed articles and reports, including an article published in Science on biological threat characterization and articles on risk assessment; federal decontamination plans for a wide-area biological attack; federal, state, and local medical response to Hurricane Katrina; and the National Hospital Preparedness Program. Dr. Watson also focuses on supporting national and global health security and was a member of the Center’s Joint External Evaluation (JEE) team, which conducted an assessment of Taiwan’s capacities and capabilities under the International Health Regulations (IHR). Dr. Watson serves as an Associate Editor of the journal Health Security. Watson CR, Watson M, Sell TK. Public Health Preparedness Funding: Key Programs and Trends from 2001 to 2017. Am J Public Health. 2017;17(S2):S165-S167. doi: 10.2105/AJPH.2017.303963. Sell TK, Boddie (Watson) C, McGinty EE, Pollack K, Smith KC, Burke TA, Rutkow L. News Media Messages about Ebola and Their Implications for Risk Perception in the United States. Emerging Infectious Diseases. 2017;23(1):108-111. Adalja A, McGinty M, Sell TK, Boddie (Watson) C. Genetically Modified Mosquito Use to Reduce Mosquito-Transmitted Disease in the US: A Community Opinion Survey. PLOS Currents Outbreaks. 2016. Edition 1. doi: 10.1371/currents.outbreaks.1c39ec05a743d41ee39391ed0f2ed8d3.